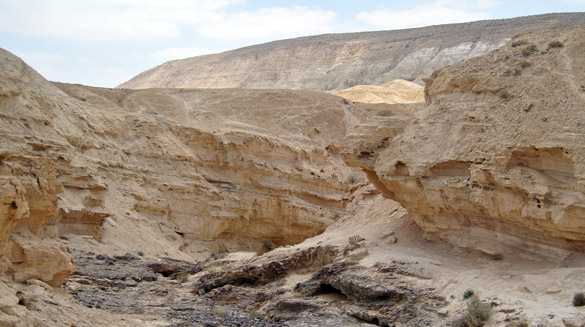 This is the Mishash Formation phosphorite zone several hundred meters south of the fault (location 049 in the bottom image). 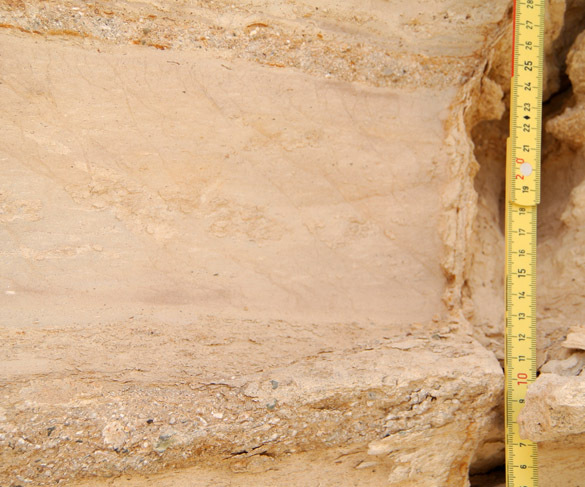 It is much thicker than the section near the fault (see the top photo in this entry). 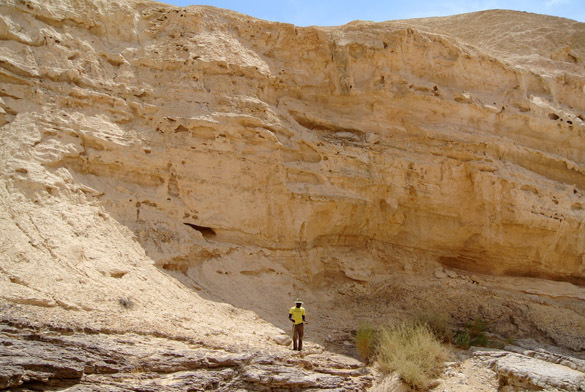 The conglomerate that is a meter thick near the fault is reduced to these two lensoidal coarse sandstones that Oscar found in this southernmost outcrop. The grain size and thickness reduces dramatically as we move away from the fault. 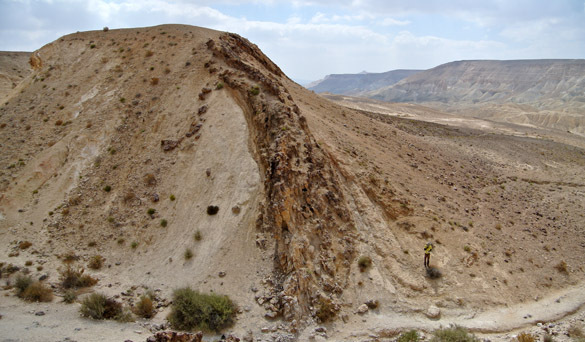 This beautiful Wadi Hawarim section of the phosphorites gave us our final clues as to the relationship between the fault and the conglomerate. We also have a sealevel story here with shrimp burrows, but we’ll save that for a later post after Oscar has done some lab work. Here is a Google Earth view of Oscar’s collecting sites and measured sections. The fault shown in the top photo is at 031, with the photo taken from 047. The fault runs east-west, and Oscar’s sites are all to the south.